If you’ve been avoiding creating a personal budget, you’re not alone. A recent poll found that only one-third of Americans actually have a formal budget. For the longest time, I didn’t have a budget. Oops! But then I realized the only way for me to get ahead was to take back control of my money through budgeting. The good news is that it’s never too late to start. No matter if you’ve just started your career or getting closer to retirement, having a budget can help you get on track to reaching your financial goals. The cool thing about your budget is that it’s yours – it’s completely unique to your lifestyle and goals. I can appreciate if you’re getting sick of hearing the “b” word. But having a budget is more important now than ever. With today’s job economy and the cost of living on the rise, it’s silly to continue ignoring all the warning signs that you need a budget. 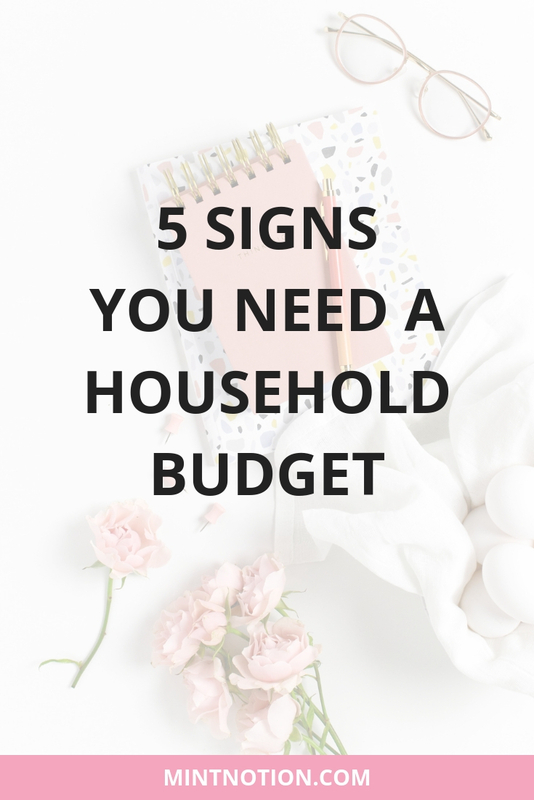 If you’re tired of stressing about money and want financial security for you and your family, then creating a household budget can help you get there. If you find yourself asking every month, “Where did all my money go?” – then you need a budget. You work hard for your money all week, so it’s a good idea to make sure that your money is working hard for you too. Solution: Set aside time to create a budget BEFORE the month begins. 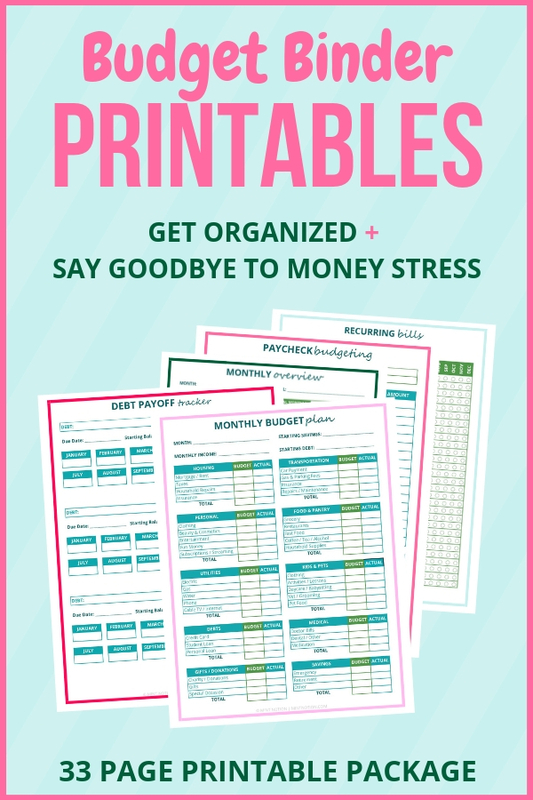 You can use my Budget Binder Printables to help you do this or create your own. If you’re living with your significant other, I recommend doing this together. What do you want your finances to look like one year from now? Setting goals can help you make smart choices for your spending going forward. It helps put your priorities first by creating a plan for your money. Use my Financial Goals worksheet to help you do this or create your own. Calculate your monthly income. Make sure to include ALL sources of income such as wages from your job, rental income, side job income, child support, business income, and so on. Use my Income Tracker worksheet to help you or create your own. These are expenses that you MUST pay each month, such as rent / mortgage, electricity, gas, water, savings plan, debt payments (credit card, car payments, student loans, personal loans), and so on. Use my Monthly Expenses Tracker worksheet to help you or create your own. These are non-essential expenses, such as dining out, vacations, entertainment, lunch with friends, gifts, clothes, shoes, and so on. You want to make sure that you’re spending less money than you earn. If you get a negative number, this means you’re spending MORE money than you earn. The quickest way to fix a negative number is to reduce your discretionary spending. Here, you’ll want to adjust your monthly expenses to make the most of your income. If you’re feeling the struggle of living paycheck to paycheck, you’re not alone. Nearly 80% of Americans say they live paycheck to paycheck. This can mean you often worry about running out of money before the end of the month or pray that no surprise expense shows up before next pay day. I used to live paycheck to paycheck and there were days when it felt impossible to get ahead financially. But I made some tough choices to change and transform my situation. Solution: One of the best ways to stop living paycheck to paycheck is to do paycheck-to-paycheck budgeting. Instead of looking at your month as a whole, such as with traditional budgeting methods, paycheck-to-paycheck budgeting means you’ll be able to see which paycheck pays for which expenses. To get started, you can use my Paycheck Budgeting worksheet available in my Budget Binder Printables package. Or feel free to create your own worksheet. It’s up to you! Write down the date you get paid, your paycheck amount, and your next expected pay date. This will let you know how many days (or weeks) you have to make this paycheck last. These are the monthly bills you plan to pay using this specific paycheck. Record the bill total and any leftover amount from the paycheck. Leftover money will go towards your monthly variable expenses (your cash envelopes), your savings plan, and paying off any debt. 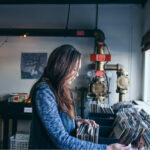 Here you’ll use cash (or your debit card if you prefer not to use cash) to pay for different categories in your budget, such as clothing, groceries, restaurants, and so on. The cash envelope system can be a great way to help budget for items which tend to bust your budget. How much money do you want to put towards your savings plan? If you’re starting with little savings right now, I recommend building an emergency fund first. Having an emergency fund can help prepare you for those unexpected events in life you can’t plan for. After you’ve created a budget for your monthly bills, variable expenses (cash envelopes), and savings plan, put any leftover money towards paying down debt. According to a recent survey, one-third of Americans are “constantly” stressed about money. 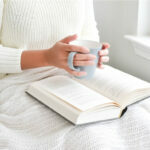 While stress can be key for survival, too much can have a negative impact on our health and day-to-day life. Solution: When creating your monthly budget, you need to include money for emergencies. An emergency fund can help manage these stressful and unplanned expenses, so you can stay on track to reaching your financial goals. Everyone should have a minimum of $1,000 in their emergency fund. This amount can help you cover a minor unexpected expense without having to add to your debt, such as a car repair or veterinary emergency. This is the quickest way to build your emergency fund. Do you have a gym membership that you’re not using? Cancel it. Do you go out for lunch every day? Consider bringing your lunch to work a few days per week. I like to try out different savings challenges such as the 30-day challenge or the no new clothing challenge. These challenges can help you set goals and make saving money fun. Making extra money each month can help you build your emergency fund and reach your financial goals faster. 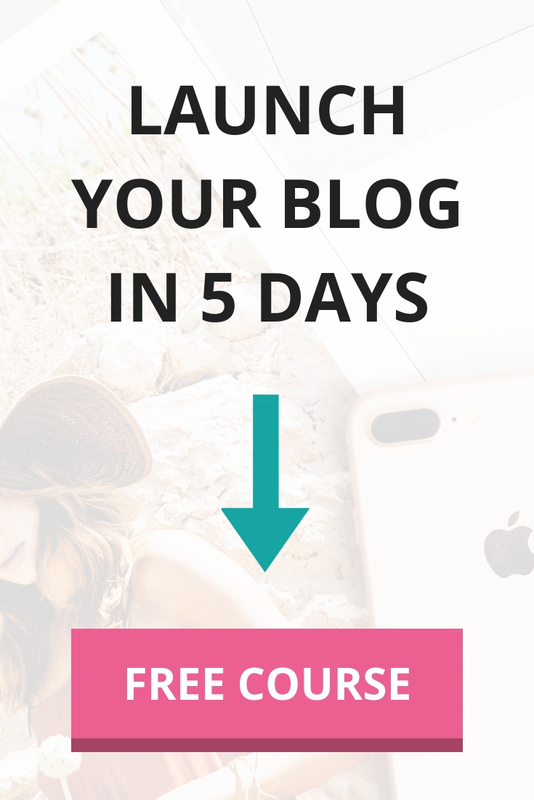 Consider getting a side hustle to boost your income, such as starting your own blog. Check out these other great ideas here: 34 legit ways to make extra money. If you want to afford to travel more without going into debt, then you’ve come to the right place. 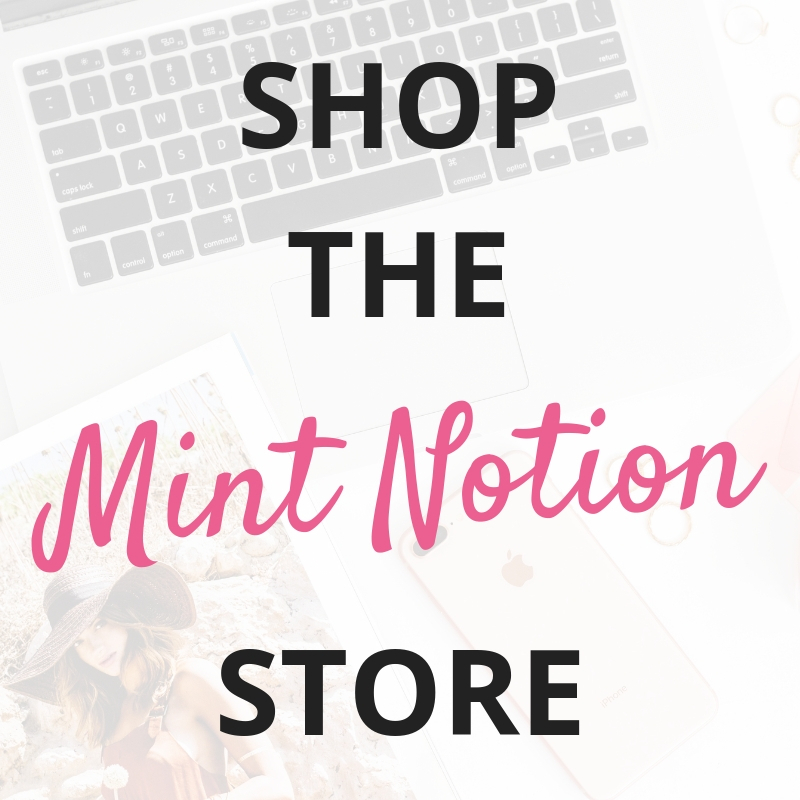 Here on Mint Notion, I love sharing ways to budget so you can save up money for fun things like vacations. Solution: When creating your monthly budget, challenge yourself to spend less on your discretionary (variable) spending. For example, if you didn’t spend your entire grocery budget this month, take that extra savings and put toward a new budget category called “Travel Fund” or “Disney Trip”. If you don’t make a plan for what you want to accomplish, it’s never going to happen. Instead of dreaming about laying on the beach, make a solid plan of what you’d like to accomplish. 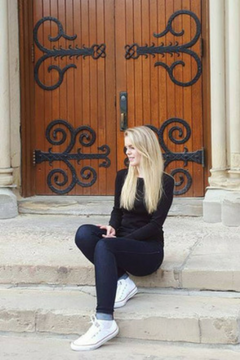 Where do you want to travel? How long will your trip be? Now that you know where you want to travel to, I recommend figuring out how much money you need to save. Determine how much money you need to save each month (or week) before your trip. Each month (or week) leading up to your trip, I recommend tracking your savings. Find ways you can reduce your expenses or boost your income to help you save money. You can use my Vacation Savings Tracker worksheet to help you do this or create your own. Most people plan their holiday first, then try to figure out how to pay for it afterwards. Instead, create your vacation budget FIRST. Now you can estimate how much you can afford to spend. This will help you pay for everything with cash. You can use my Vacation Budget Planner worksheet to do this or create your own. Take some time to research ways you can save money and get the best value under each travel expense category. This may include finding ways to reduce transportation, accommodation, food, and entertainment costs. You can use my Vacation Research worksheet to do this or create your own. If your savings plan is non-existent or “I’ll just save what’s leftover”, then you need a budget. Solution: The best way to grow your savings is to change your spending habits. Developing smart spending habits can make your money go further. Audit your current monthly expenses. This includes both your fixed and discretionary spending. Then find areas you can cut back or eliminate expenses, such as unnecessary memberships or subscriptions. To help you clean up your subscriptions without much effort, consider using Trim. Trim is a FREE digital personal assistant that makes it easy to save money on your monthly bills. All you have to do is sign up here and Trim will do the heavy lifting for you. Already feel like you’ve cut back and eliminated unnecessary spending? Focus on finding income-generating activities. No matter how much money you earn, it’s important to build multiple streams of income. Relying on a single source of income is just too risky in today’s economy. Creating a budget is the first step in taking back control of your finances. Your budget doesn’t just come together automatically though. You’ll need to put in the work, at least in the beginning. Once you start practicing patience, you’ll learn how to develop smart spending habits. Then it won’t be long before you’ll get better and better at mastering your money. What do you want your finances to look like a year from now? Do you want to save enough money to buy a home? Do you want to afford to take your dream vacation? Do you want to get out of credit card debt? No matter what your financial goals look like, understand that only you can make it happen. Take ownership of your money and you’ll instantly notice a positive change in your money mindset. We all have it in us to save and make a lot of money. So forget about your past. Mistakes happen. Focus on what you’re going to do today to start creating the life you want tomorrow. If you’re ready to get a head start on transforming your finances in 2019, having the right tools at your fingertips can help you do this with ease. 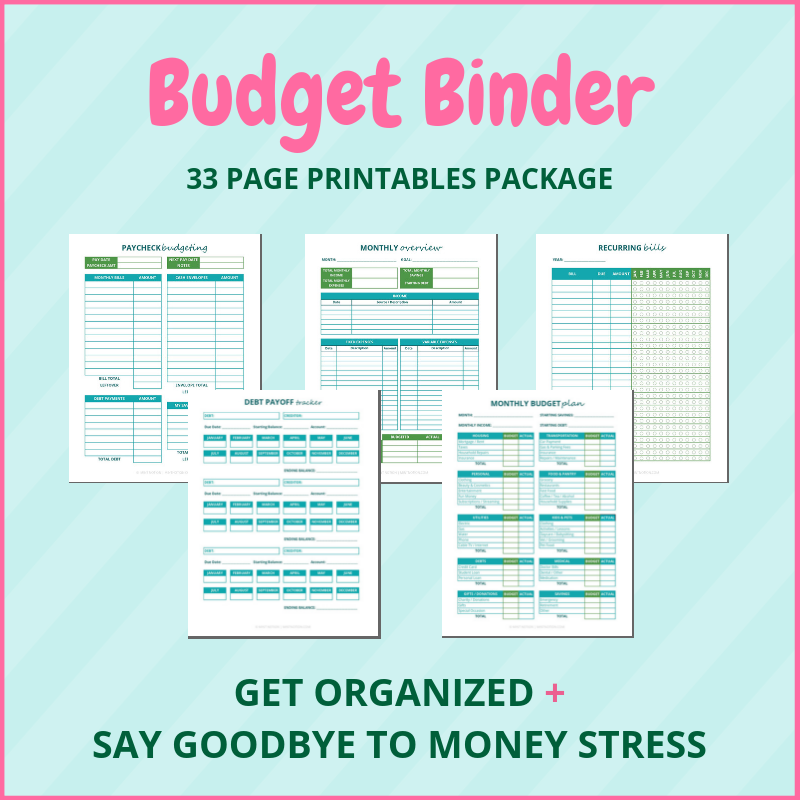 The 2019 Budget Binder Printables package are the same worksheets I use to organize and manage my finances. You can learn more about the Budget Binder here.